This stylish hotel features an outdoor pool, a gym and spacious, air-conditioned rooms with free Wi-Fi and flat-screen cable TV. It offers free transfers to Guadalajara International Airport, just a 15-minute drive away. 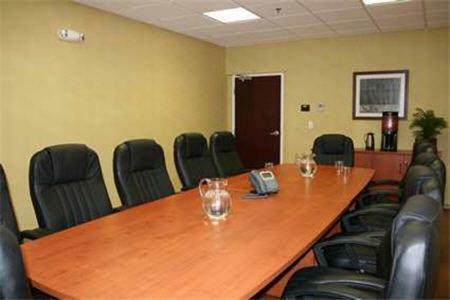 Each elegant room at Hampton Inn by Hilton Guadalajara-Aeropuerto offers a seating area, a safe and a coffee maker. The modern bathroom includes toiletries and a hairdryer. You can enjoy a daily hot breakfast buffet at the hotel, or pick up a free breakfast bag to take away. Staff can also recommend and book restaurants in the surrounding area. 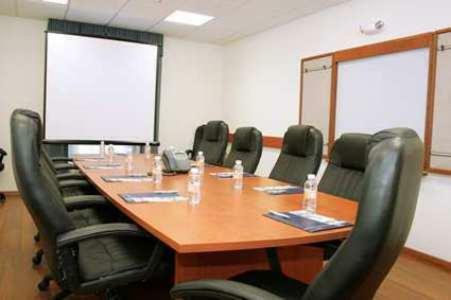 Hampton Inn Guadalajara-Aeropuerto offers a tour desk and free on-site parking. Guadalajara city centre and the famous Libertad Market are 8 km away, while Atlas Golf Club is a 15-minute drive away. 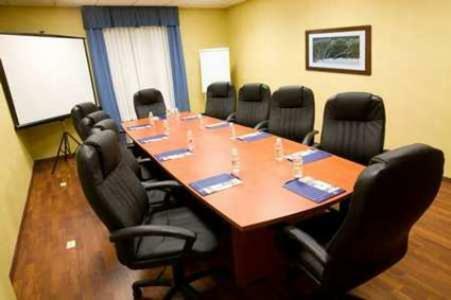 the hotel Hampton Inn by Hilton Guadalajara-Aeropuerto so we can give you detailed rates for the rooms in the desired period.